The December issue of the Texas Division of Emergency Management newsletter, Texas Emergency Management Online, includes a featured article about TEXSAR. As the article mentions, 2013 has been a busy year for TEXSAR. 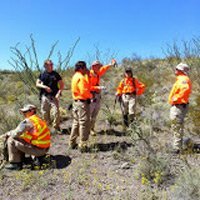 During the first 10 months of 2013 TEXSAR responded to 12 deployments, 5 planned events and provided formal, certified training to 7 agencies. The deployments have ranged from Big Bend to North Texas to Central Texas and Galveston. TEXSAR is proud to have the tireless work of our volunteers acknowledged by TDEM. It’s through the support of partnering agencies, like TDEM and DPS, that we are able to fulfill our commitment of “Texans Helping Texans”. TEXSAR is an all-volunteer 501(c)3 non-profit which is proud to serve the citizens of the State of Texas. If you have any questions, are interested in joining TEXSAR, or would like to make a donation to our life-saving efforts please contact us at membership@texsar.org.